Look for an announcement in coming days on a piece that Raphael Sassi is presenting that is quite remarkable (we of course get sneak peeks in advance of the public). Painting! One of the best reasons to visit Italy with us. 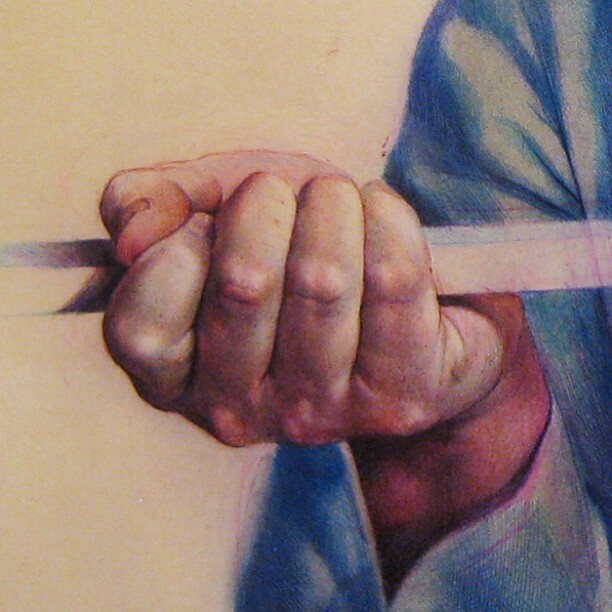 In the meantime, consider the exquisite rendering of hands he did here–drawn with ballpoint (yes, really) pen, in this you see muscle, adipose tissue, skin, hair, sweat…the hands of baker hard at work.